These define Grammar School at the Woods. The Wood Acres Elementary School encompasses student mastery learning of reading and mathematics in Kindergarten, first, second, third, and fourth grades with additional integrated learning experiences in science and social studies and specialty areas such as Spanish, art, music, technology, STEM and STEAM. Wood Acres Elementary School is all about construction-establishing the building blocks of learning and the skills necessary to construct meaning from these blocks. Our emphasis on mastery learning, accelerated curriculum, and integration of content areas creates the strongest foundation on which to build a meaningful lasting education for each student. Just as a parent feeds a child healthy food long before the child appreciates the merits of good nutrition, our Elementary/Grammar School Program requires of students mastery of specific skills prior to their applying these skills to higher level thinking. As students matriculate to the Middle/Upper School, they will demonstrate expertise in key subject areas and be effectively applying the learning blocks to the construction of one unique amazing education. With the gift of a strong early childhood foundation, parents must then choose the best start for their child’s academic career with the pivotal kindergarten year. The choice of private or public elementary school education is always challenging and understanding the differences is crucial. The Wood Acres Kindergarten program couples an accelerated academic curriculum with a broad array of specials to promote academic, creative, social, linguistic, and physical development. The magic of Wood Acres Kindergarten is the unique combination of teaching talent, research based curriculum, strong emphasis on academics and learning, as well as small class size. Each of these pieces come together at Wood Acres to create an unparalleled learning environment where each student is challenged to do his/her best and celebrate the magic of learning a new skill, a first tooth falling out, a family addition, a birthday, a holiday, a snowflake, or the 100th day of school. Wood Acres is the place to be for Kindergarten! First Grade is a tremendous step for students and parents alike. 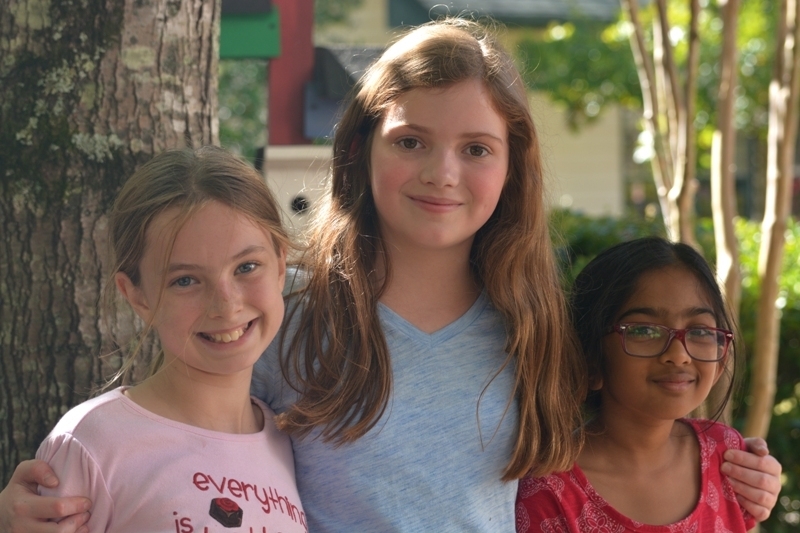 The Wood Acres School offers students an environment where they are encouraged to be inquisitive, challenged to do their best and understand that learning, happens not only in school but all around them. The magic of Wood Acres for parents is the unique combination of seasoned teaching talent, research based curriculum tied to national standards, strong emphasis on academics and learning as well as small class size. Each of these pieces comes together at Wood Acres to create an unparalleled learning environment where each student experiments, creates, invents, composes, questions, interprets, and so much more. For academics + arts, experiments + experience, and small class size + individual attention, Wood Acres is the perfect place for your First Grader. Second Grade at The Wood Acres School is a pivotal year during which students are challenged to explain how they know what they know (metacognition) as well as take on responsibility for their own work. The Wood Acres School gives students in Second Grade an environment where they are encouraged to be inquisitive, challenged to do their best and understand that learning happens not only in school but all around them. The magic of Wood Acres for parents is the unique combination of seasoned teaching talent, research based curriculum tied to national standards, strong emphasis on academics and learning, as well as small class size. Each of these pieces come together at Wood Acres to create an unparalleled learning environment where each student experiments, creates, invents, composes, questions, interprets and so much more. For academics + arts, experiments + experience, and small class size + individual attention, Wood Acres is the perfect place for Second Grade. During the first 180 school days, the Third Grade curriculum slowly and deliberately turns 180 degrees as “learning to read” in the first half of the year becomes “reading to learn” in the second semester, timed math facts quizzes develop into multi-step word problems, and keeping up with it all perceptibly shifts from a sole parental task to optimal child/parent teamwork. So goes the exciting and pivotal year of a third grader. Curriculum is richer, learning is deeper, homework is more involved, and education reaches a wonderful level of fulfillment for the engaged learner. Science continues to challenge and excite in a lab setting; history and geography embrace unique places in the world as well as the more familiar territory of our own United States; budding personal organizational skills include time management practice, desk checks, and honoring homework time at home. Third grade is special, but it is spectacular at Wood Acres! Buoyed by solid success in Wood Acres third grade, fourth graders reap the many academic and social benefits of a curriculum that reinforces prior knowledge, stretches their thinking, and invites and excites them to explore new areas of learning. Fourth graders are both resilient learners ready to apply all the skills of a well designed Grammar School program and tenuous about their own budding confidence in making decisions for themselves and managing their time effectively. It is a special grade to teach and has a curriculum that has the teacher as engaged in the content as the students! Don't prepare the path for the child, prepare the child for the path.